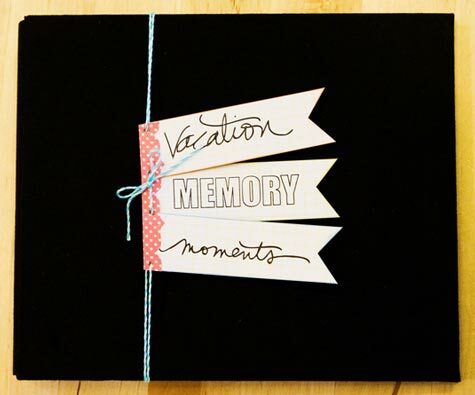 Creating Keepsakes, the Summer Issue! No, not the "ark ark" kind. But the stamping kind. As you probably know by now, Technique Tuesday debuted a new line of stamps called Signed, Sealed, and Delivered. Today, the Stamping Techs are whipping up some new projects using those seals. 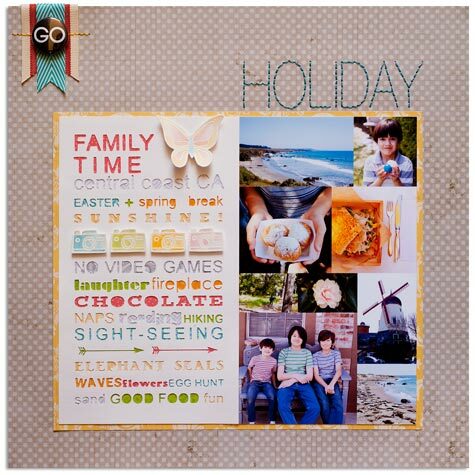 I've already made a Mother's Day card and layout, and a Father's Day card using some of the seals. So for today, I created a quick and easy birthday card using the Happy Birthday seal. I stamped the seal in two colors, punched out the blue one with a 2" scalloped punch, and the candles with a 3/4" circle punch. Popped them up with pop up dots. Then I stamped a piece of Technique Tuesday Narrow White Twill with the little star that comes in the seal set. Wrapped the twill around the stripe-y paper, and then adhered that to the woodgrain paper. 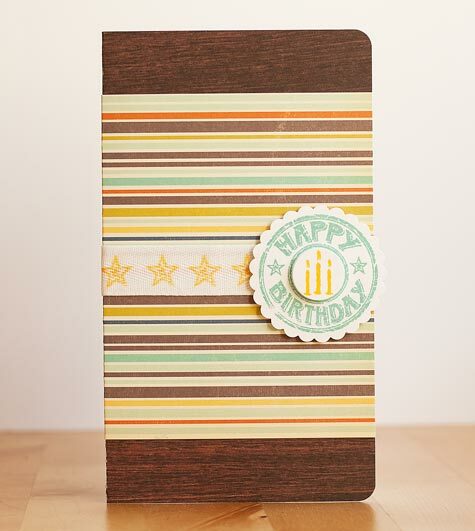 Yes, I have a thing for woodgrain paper. I'm blaming it on Martha Stewart. And this October Afternoon paper is pretty dang awesome. 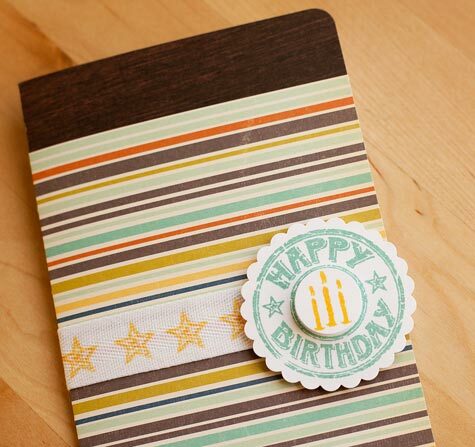 This is such a super simple card that can be adapted to just about any occasion. Which makes those seals such great stamps to have around. Plus, they are really affordable! Don't forget to go by Technique Tuesday's blog to see the awesome projects by the other Stamping Techs! Happy Wednesday! My household is all abuzz! Tomorrow is the last day of school for my kids, and they are hopping off the wall with excitement. Must confess that I am too. This was a long year, school-wise. It's time for them to have a little break. Never mind summer school/camps start next Monday... But for now, we are ready to celebrate. As soon as the kids get off school tomorrow, we are heading out to Palm Springs for a long weekend. And even though, they will spend part of their summer in school, we've planned some fun local adventures. I did write down a list on a piece of paper, but then I thought it would be fun to create a sort of advent calendar? What would one call this? A countdown calendar? I don't know. But you get the idea. And since Lawn Fawn is introducing its Quinn's 1-2-3 stamps, I used it here to number the little flaps. These are the same font as Quinn's ABC. They are already available in the Lawn Fawn shop and other stores (online and brick). To make this layout list, I created a quick and simple file for Cameo, because why bring out the knife and ruler unless I really have to, right? The Cameo cut the windows, and I backed the patterned paper (this paper kills me! Crate! I love it!) 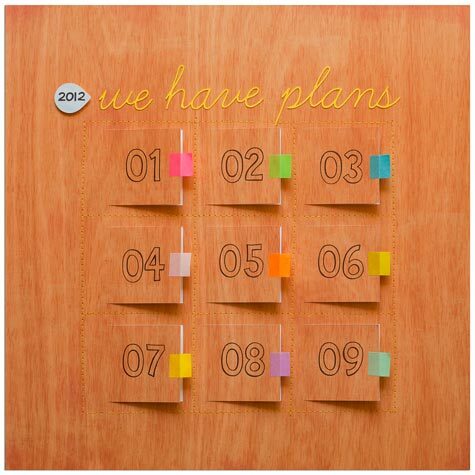 with white cardstock. 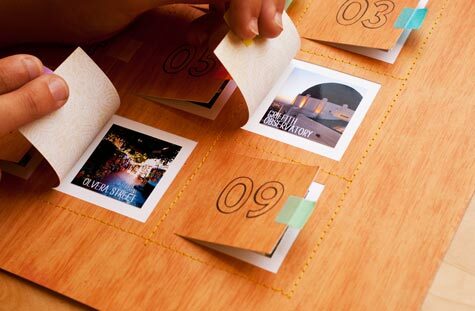 I stamped the numbers on the flaps, machine stitched them in between, and adhered the photos inside. Then I created the little "handles" with some washi tape. Finished the layout with the Silhouette-cut title, and stamped "2012" using Harold's ABC. That by the way is a Martha Stewart x Avery label. They come in that teardrop shape in a variety of colors. Super cute. That is it! The kids got pretty excited when they saw this. I think they like the mystery of the little windows and the pops of bright colors. Although, there's hardly any mystery, since they've opened all the flaps already. If you'd like to make your own flap-y list, I'm sharing my Cameo file here. Also, don't forget to go by the Lawn Fawn blog and leave comments to win the new stamps! Thanks for dropping by today! 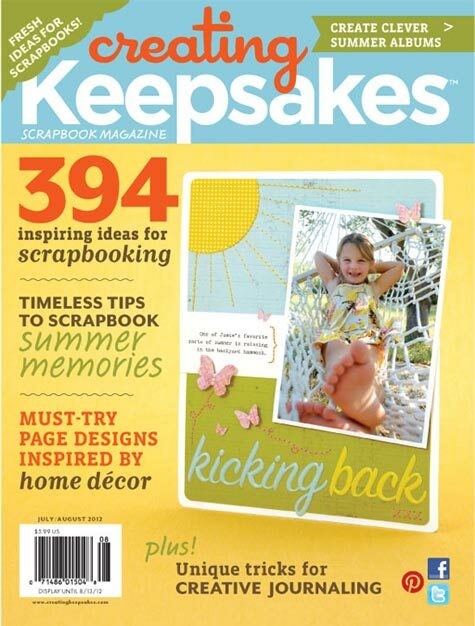 The Summer issue of Creating Keepsakes is out, and I'm pretty excited about it. See that cover? It's mine! As seen in the July/Aug 2012 of Creating Keepsakes magazine. Copyright Creative Crafts Group. Posted with prior permission from the publisher. 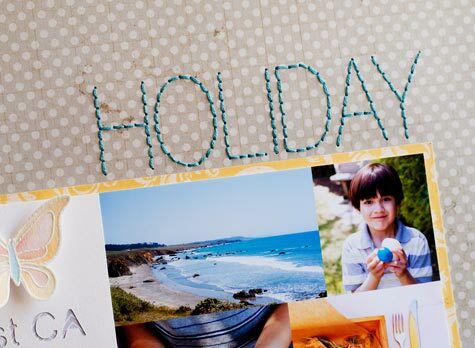 I also have a summer vacation mini album in it. Complete with a free download. 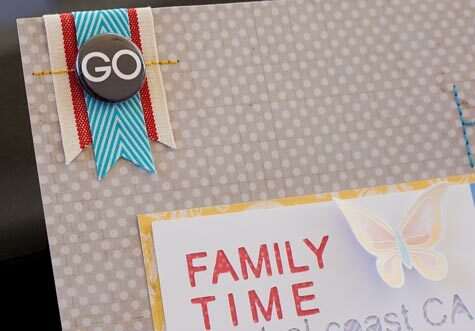 It's a quick and easy mini book that you can put together by printing the downloadable form, adding some photos and other embellishments, and filling out the blanks. Super simple. Instant satisfaction. 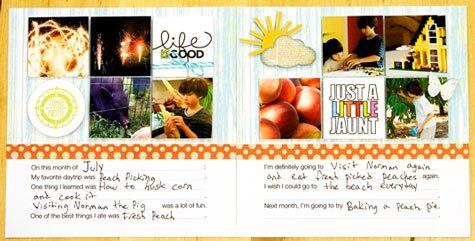 Here's a page that my son Jett filled out for the book. And guess what? You can win a copy! 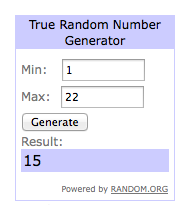 There's a blog hop going on, so you will have many chances to win. Start by going to Kim Watson's blog, and leaving those comments! Thanks for stopping by. Hello hello! This week, Lawn Fawn has paired up with May Arts for yummy stampy ribbony love. And here's my contribution. It's a recap of our weekend up California's Central Coast. I made the word art first in Adobe Illustrator, then transferred it to my Silhouette Cameo. That should have been easy, except that I haven't quite figured out all the settings of the Cameo, so I cut it out 5 or 6 times, and finally ended up trimming some out with a knife. I'm no Erica. I can't cut small things out with a knife! So please forgive the slightly shredded words. 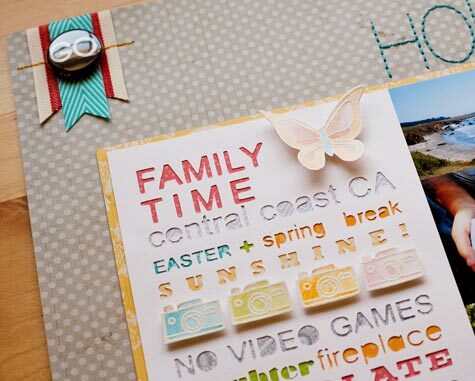 Backed it all up with bits of colorful paper, lots of it from Lawn Fawn (perfect for those Spring projects). Then I stamped my favorite camera stamp, embossed them in white, and watercolored with some mist. Same with the butterfly. Added the banners made from May Arts' ribbons, and topped it off with an Ormolu button. The photos were gathered in Photoshop, and printed in one sheet of photo paper. And, of course, I finished the layout with some hand stitching! Hand stitching makes me happy. The good part? Both Lawn Fawn and May Arts are doing giveaways throughout the week. So go by both blogs, check out the awesome projects, and leave comments! Thanks for dropping by! So this past weekend, we took off on Friday afternoon to San Diego without a plan. No hotel was booked ahead of time. No guidebooks consulted. No Yelp research. Nothing. Which is so unlike me. I like to have at least a few restaurants in my must see eat list. The Del from the beach. We took off, and holy crap, the traffic was insane! It took us over five hours to cover the 120 miles that separate Los Angeles and San Diego. So I had a lot of time to find us a hotel. And we lucked into the Hotel Del Coronado. Also known as The Del. It was built in 1888 by the developers of Coronado Island. Which really is not an island, more of a peninsula, but what do I know! My view from the poolside chair. Our room was right off the pool, which was warmed to a 82F night and day. The kids were in love! We were also a few steps from the beach, but it was very overcast and blustery the entire weekend. So we stuck to the heated pool, ate a lot, walked around the teeny village, took in the sites. Inspired by all those his+hers drink shots. Him = cool microbew. Me = tap water. Really really good pork belly noodle soup at Leroy's. Cute paper store at night. I didn't get a chance to visit it while it was open. My oldest wanted this shirt. What can I say? He's 13. I didn't buy it. Love weekends spent as a tourist. I usually come home so inspired to cook, scrap, and travel some more. Currently plotting a trip to Ojai!